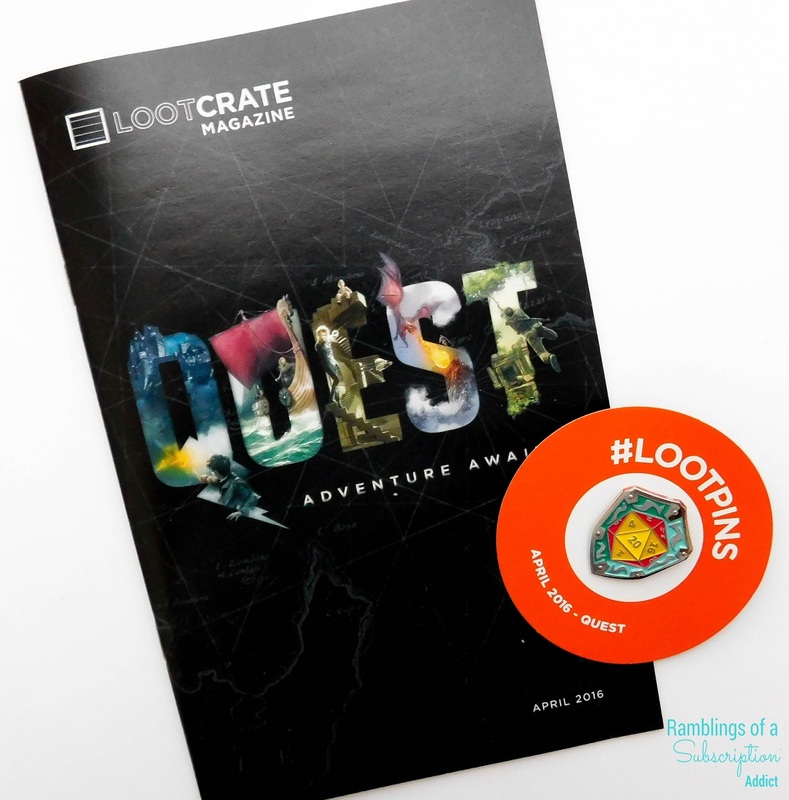 Loot Crate (QUEST) - April 2016 + Coupon Code! 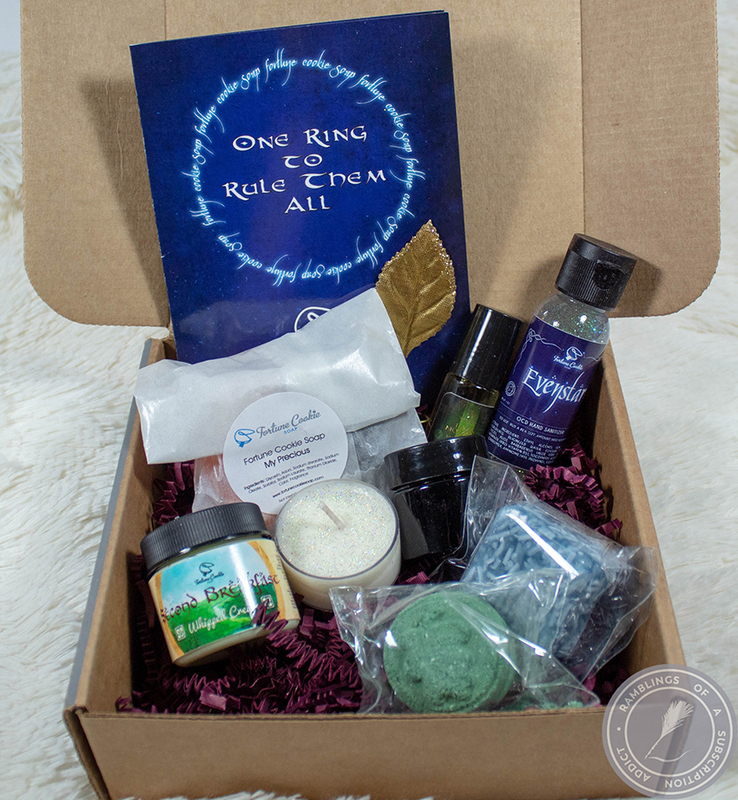 When this box arrived, I had already known that this would be my last box. I was still curious about what might be in the box due to the Harry Potter spoiler. 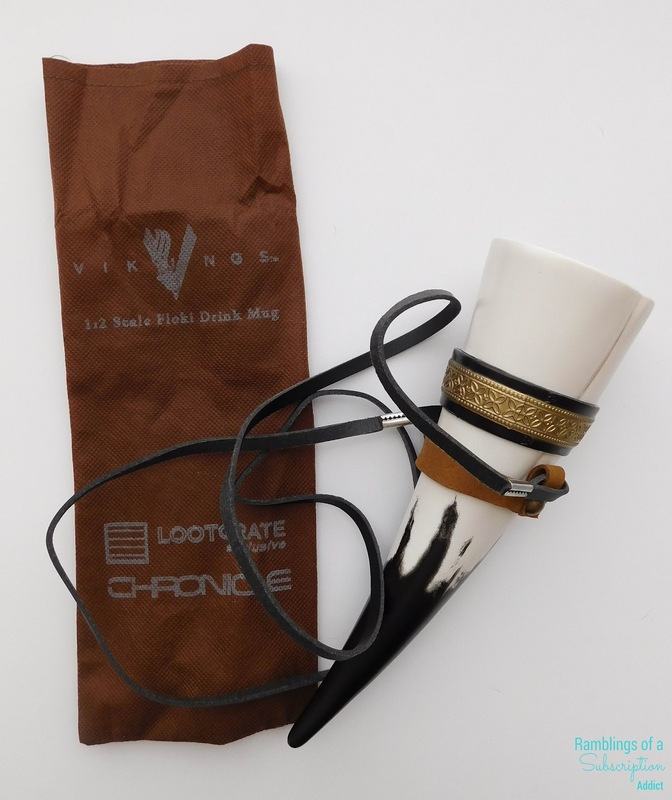 Vikings Drink Horn with Strap ($10?) - I was honestly a bit confused about this item, which is not something I enjoy being when opening a subscription. It turns out that this is from Vikings, the tv show. Apparently Vikings is a historical drama in Canada (and maybe the US), but it's completely lost on me. The item is cool, but useless and not relevant to me. Harry Potter Socks ($8) - I was hoping to really like these, I'm a huge Harry Potter fan so these are right up my alley. Instead, I am faced with clown socks. These are men's size 6-12, which means they are massive and way too stretchy. I wear a men's 5/5.5, and I prefer my socks to be tighter. Alas, I cannot wear these at all and so they will be passed. 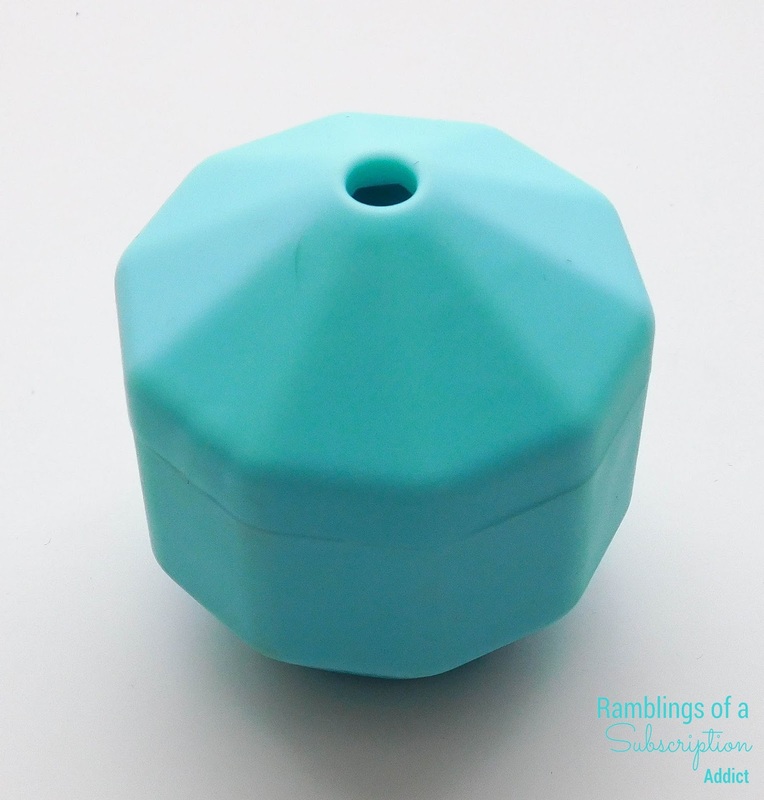 D20 Ice Mold ($8?) - This is a pretty cool idea, there are the numbers inside and so you actually have a true D20 in your drink. 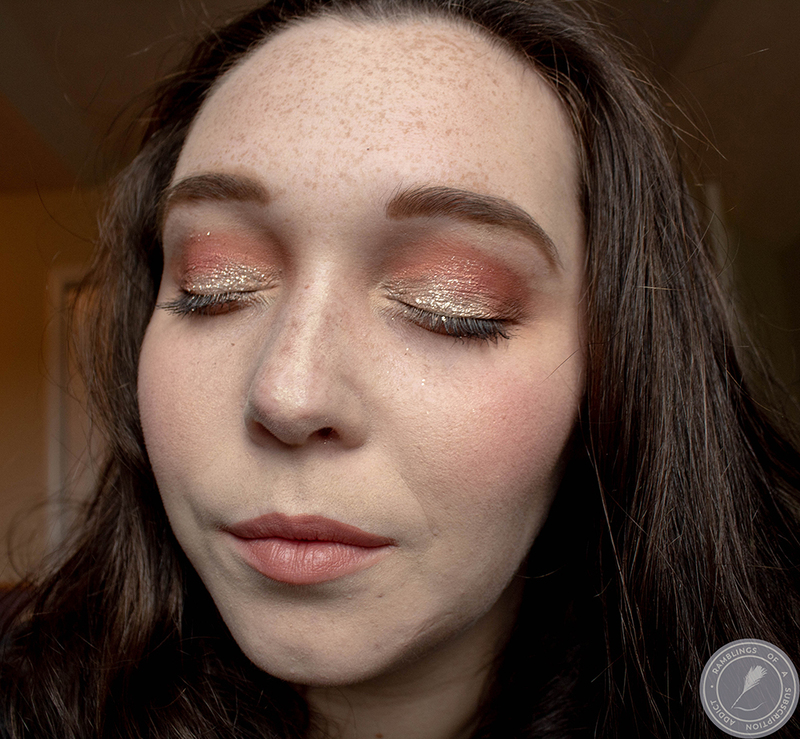 It's not the most amazing product, but it's something cool and quirky. 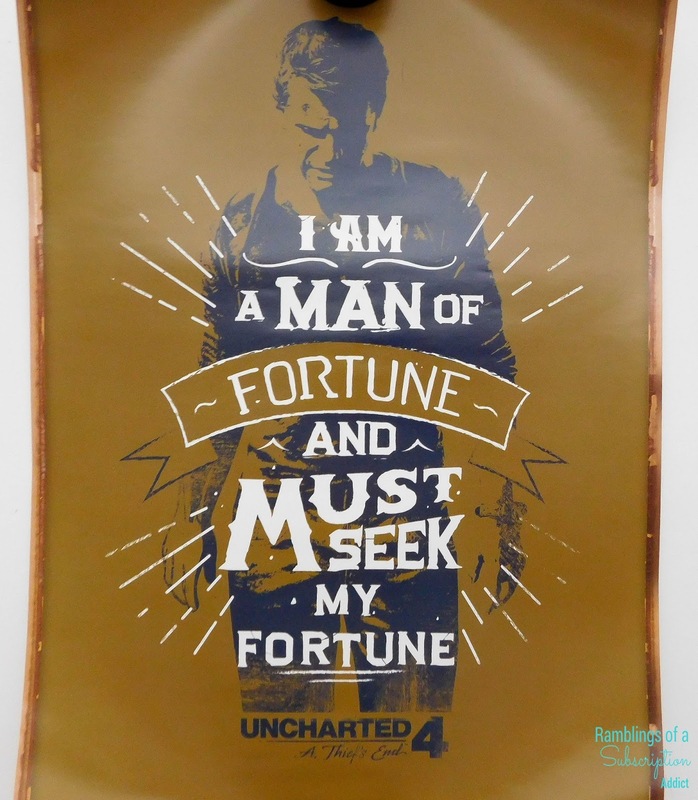 Uncharted 4 Poster ($5?) - I haven't played Uncharted, and neither has my husband, so I have no clue what the game is about or what this means. The most I understand about Uncharted is that he is a treasure hunter, so I'm guessing that's what the quote is about. 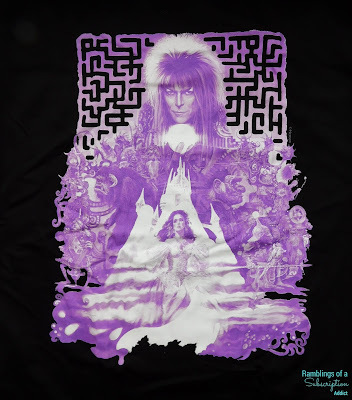 Labyrinth T-Shirt ($10?) 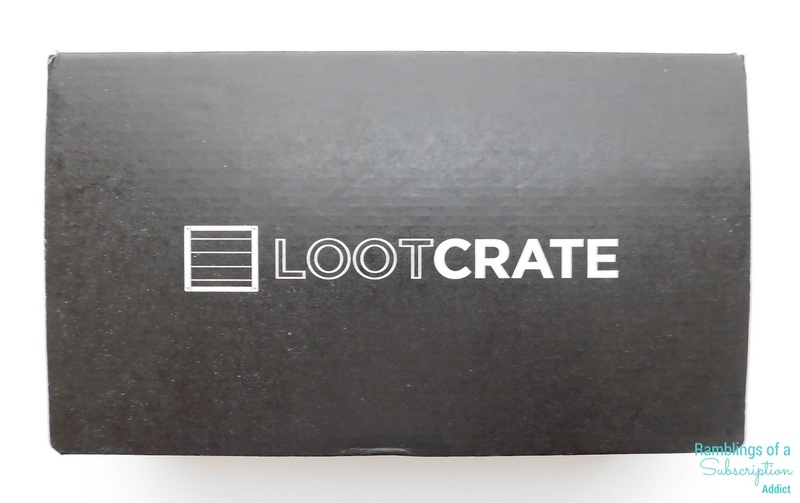 - Congratulations, again, Loot Crate. You have somehow sent a women's shirt instead of a men's. The cut and sleeves are obvious that it's not a men's shirt (as we request). 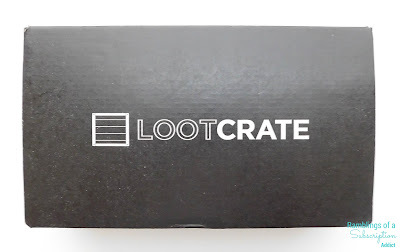 Because Loot Crate didn't do anything about it in December, I'm not even going to both with it again. Between the March box having a broken item and this mistake (again), I am 100% pleased with cancelling Loot Crate. It's a cool shirt, but useless for the point of the box purchase. 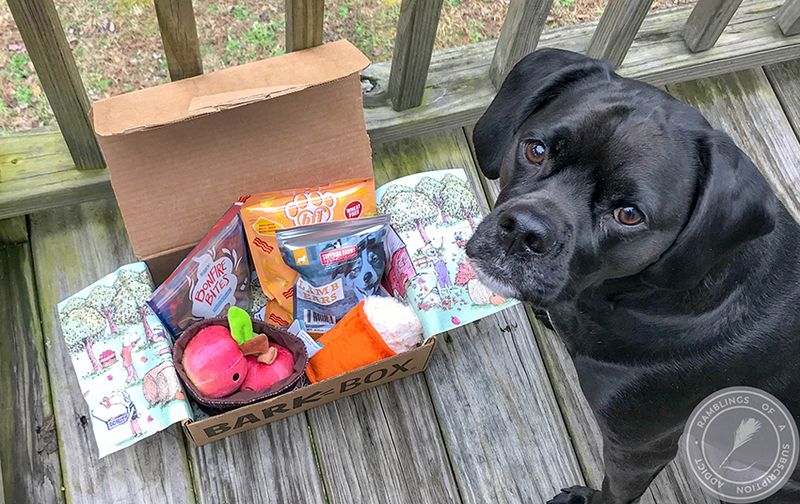 This box is valued at my estimated $46. The items are exclusives, so there is added value in that, but the entire box (minus the D20) was a flop. I will be giving away all of the items, even the D20 (I'm not responsible enough to put water in an ice cube mold and not have it fall in my drawer freezer) to someone else. If the shirt had been correct, that would have been a big win. 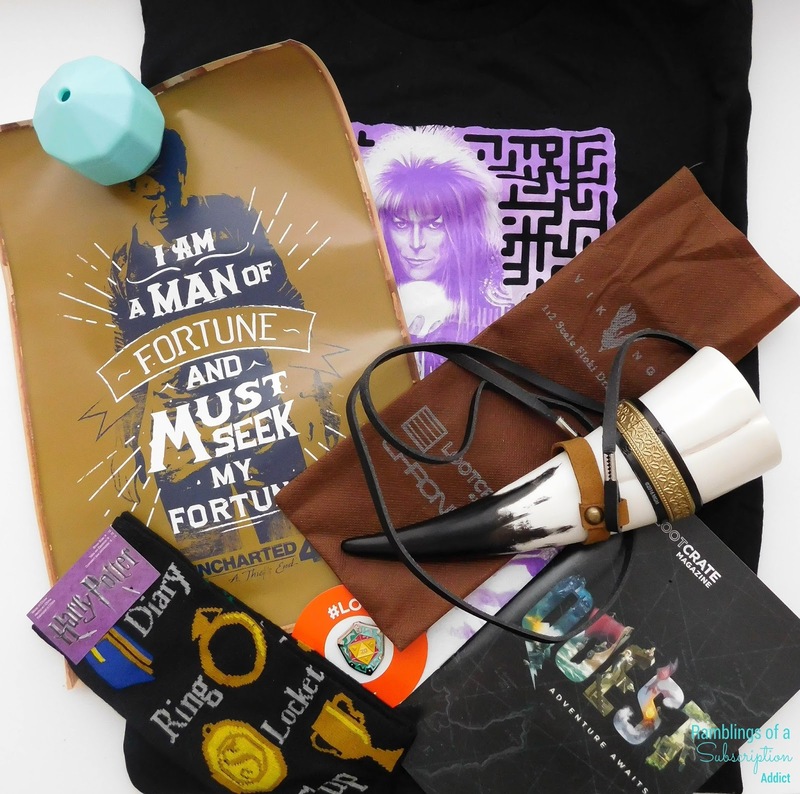 Fortunately, this is my last Loot Crate. I have decided to move on to Nerd Block as our next geeky/nerdy/fun subscription box, so let me know what you think about that box if you get it (or have gotten it in the past)!